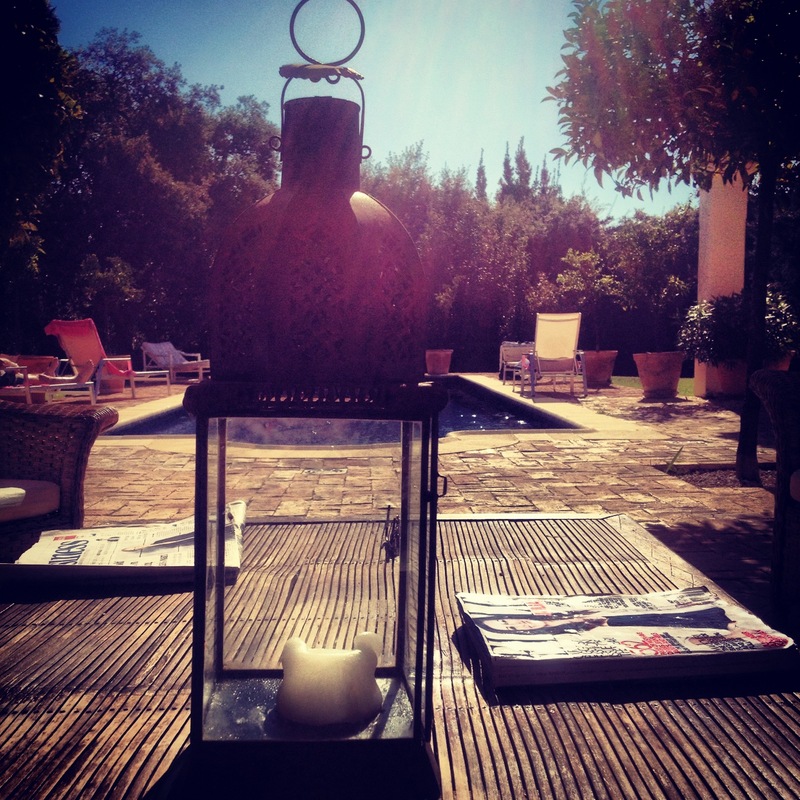 A last minute invite to Spain for the weekend, was just what I needed. 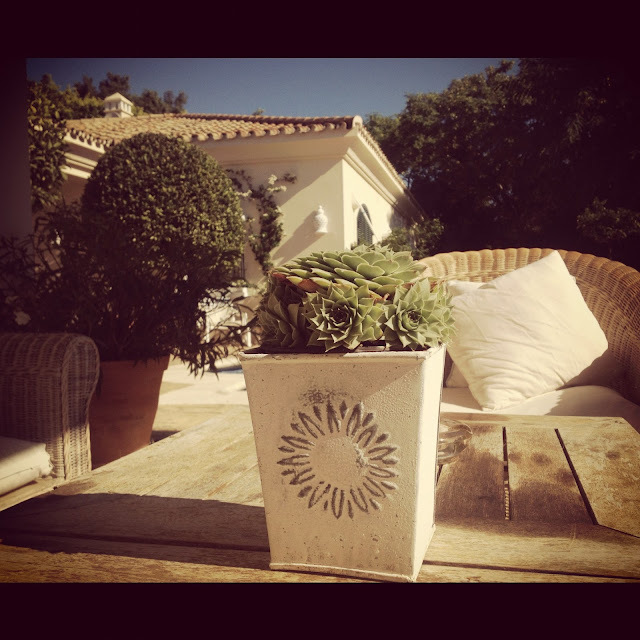 I spent the weekend in luxury, and in perfect weather conditions (sorry to gloat!) 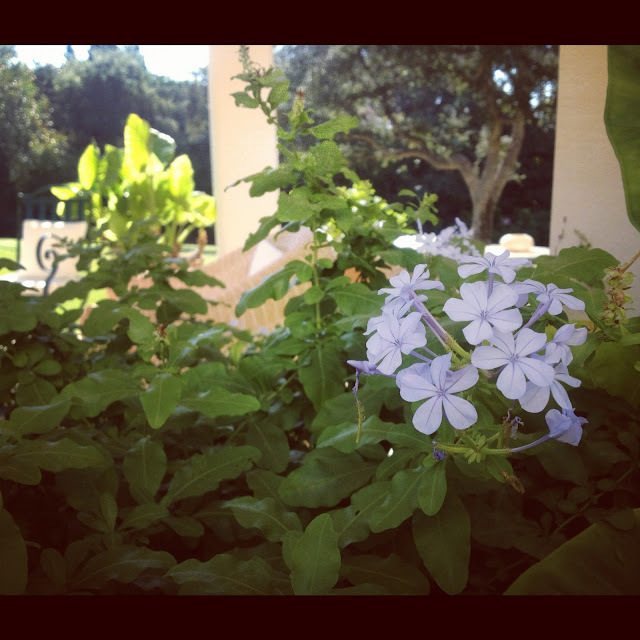 The villa was simply beautiful, as you can see from the photos below. 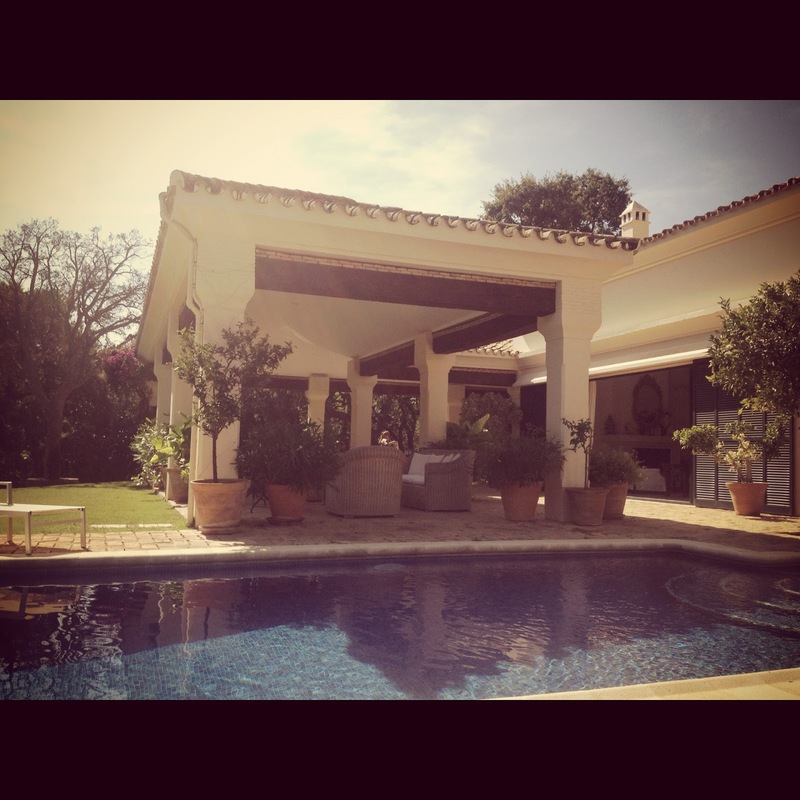 I ate beautiful spanish food, and lounged by the pool. Beautiful Bottoms shirts were perfect for this! The area we were staying was called Sotogrande, about half an hour from Marbella, so popped down there one morning.... saw some interesting sites, including leopard print and gold sofas, to a bright pink Ferrari, to a dog cot.... costing €2500. Bizarre! 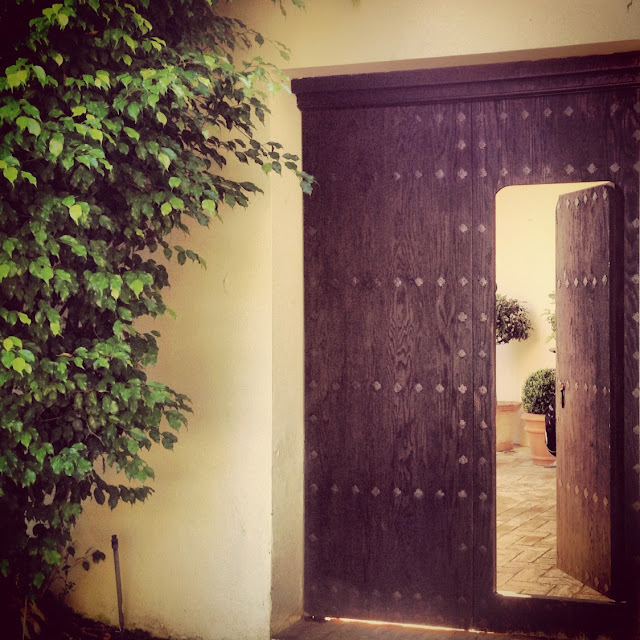 The Beautiful old indian style door led onto the courtyard and front door to the villa. The villa had lots of lovely big white sofas and separate seating areas dotted about, perfect for relaxing and reading, and getting some peace and quiet. The gardens were filled with brightly coloured flowers, I especially loved the lilac of these. 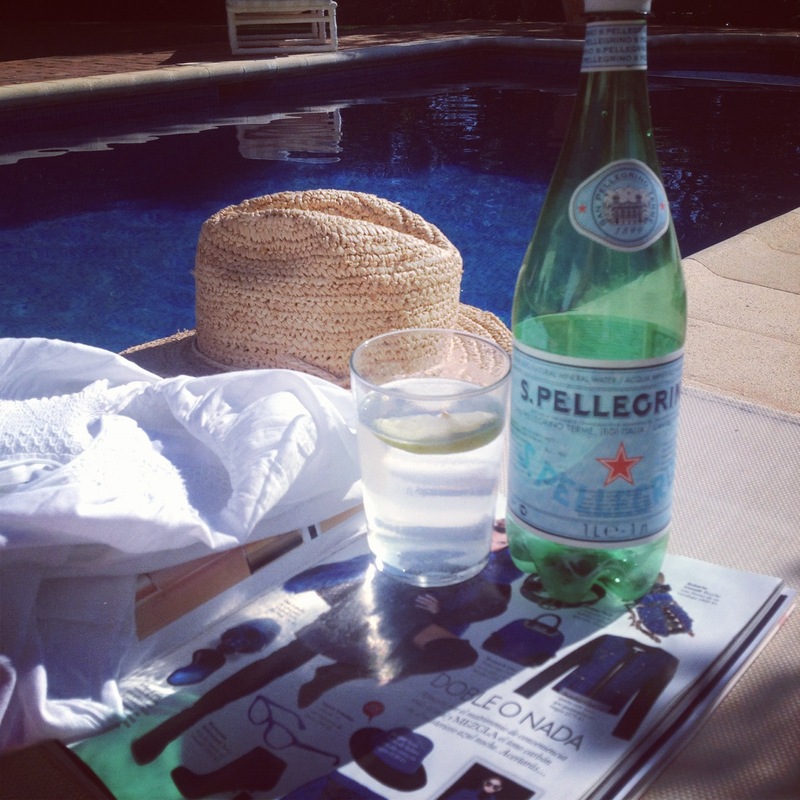 Sipping S. Pellegrino, with ice and lemon, and flicking through French Elle was the perfect way to spend sunday afternoon. french Elle feature so much of Sandro and Maje, two of my favourite shops at the moment. Dreamy. 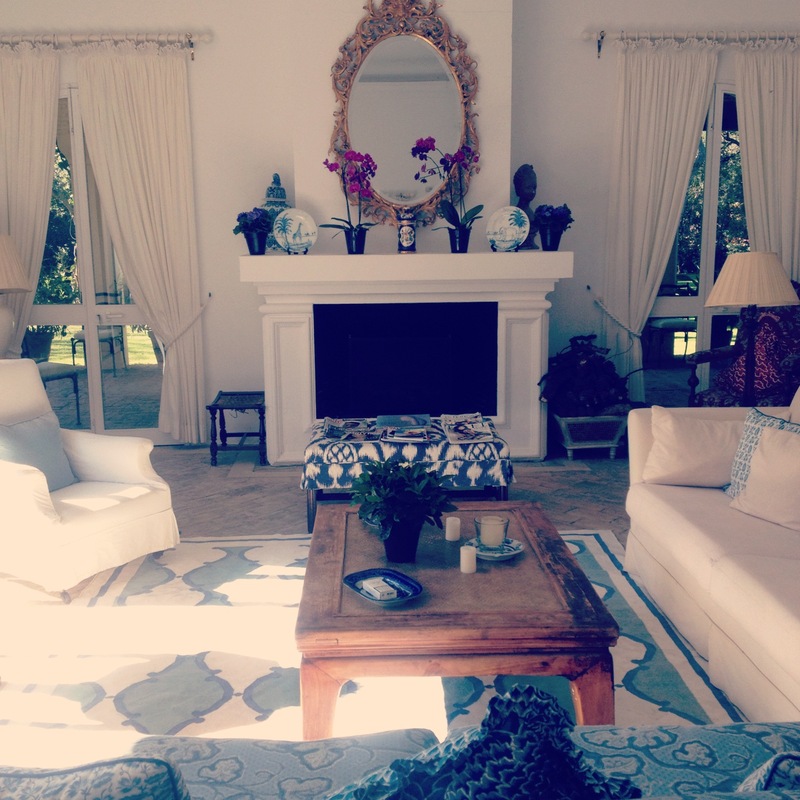 The interiors were stunning, I loved the print of the rug and sofa, all in different hues of blues and white, contrasted with the pink flowers on the mantel piece.